Science is amazing. Constant innovation and discoveries have led to amazing breakthroughs in the science world. If you are looking for interesting and weird science facts, you have found the right place. Read on to learn more. 1. 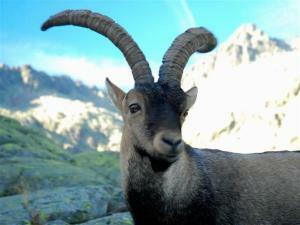 In 2009 scientists used cloning to resurrect an Pyrenean ibex, as species of Spanish ibex that went extinct in 2000. It died minutes later from a lung defect. 2. A single bolt of lighting has enough energy to cook over 10,000 pieces of toast. 3. You can easily overdose by eating a polar bear’s liver. The level of vitamin A found in a polar bear’s liver is enough to poison the human body. 4. The taste receptors of a butterfly are located in their feet, so to taste things, they have to stand on top of them. 5. Human saliva contains a natural painkilling substance called opiorphin that is 6 times more powerful than morphine. 6. 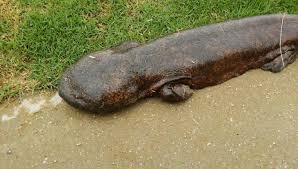 The giant salamander is the world’s largest living amphibian, able to grow up to 5 feet in length. 7. Scientists have successfully tested a theory that suggested the ancient Egyptians may have used kites to move the large stones while building the pyramids. 8. If you dug a hole straight down through the Earth and jumped in, it would take you 42 minutes to reach the other side. 9. Parrots and rabbits are the only two creatures on Earth that can see behind themselves without turning their heads. 10. A full head of human hair is strong enough to support 12 tonnes, roughly the weight of two adult elephants. 11. 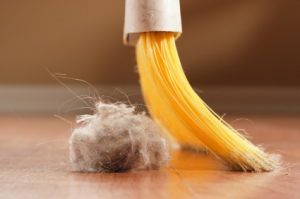 Much of the dust in an average household is made up of human skin, meteorite particles, and plant pollen. 12. More than 40 years ago, scientists lit a large crater filled with natural gas in Turkmenistan on fire in an effort to rid the crater of the gas, expecting it to burn out quickly. It is still burning today, and is dubbed the “Door to Hell”. 13. In November 2013 a National Geographic scientist donned fireproof gear and descended to the bottom of that crater, even though it was still burning. 14. There are no venomous snakes in Maine. 15. Scientists at Cornell University crated a nanoguitar, which is roughly the size of a human blood cell.